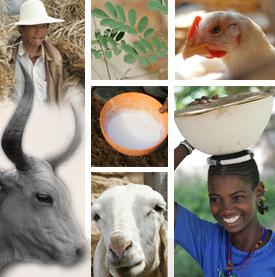 The Chinese Academy of Agricultural Sciences (CAAS) and ILRI are at an advanced stage of initiating a joint laboratory for research on ruminant diseases, building on a CAAS-ILRI joint laboratory on livestock and forage genetic resources in Beijing that was established in 2005. The new joint lab will be located at Lanzhou Veterinary Research Institute (LVRI), one of the veterinary research institutes of CAAS. The new venture will facilitate joint research on priority diseases of ruminants, staff exchange, training, access to materials and applications for funding to support joint research activities. Tags: Small Ruminants. Bookmark the permalink.